love the iphone case, look so unique and cute! These inspirations are amazing! 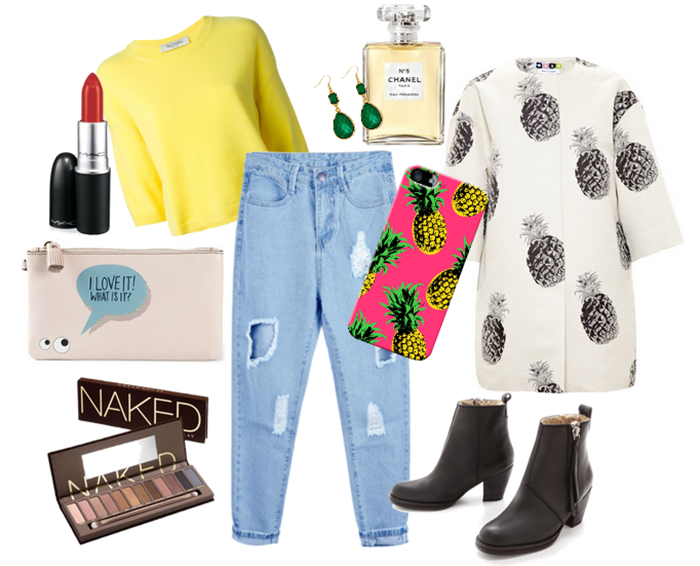 I love the yellow jumper and the fruit phone case!! So cute! Love the pineapples!! I love yellow for spring! That sweater is so fantastic! Great picks!